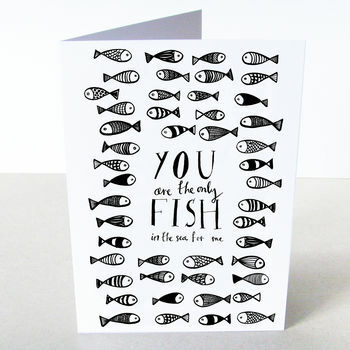 A sea of fishes bring you the sweet message "You are the only fish for me". 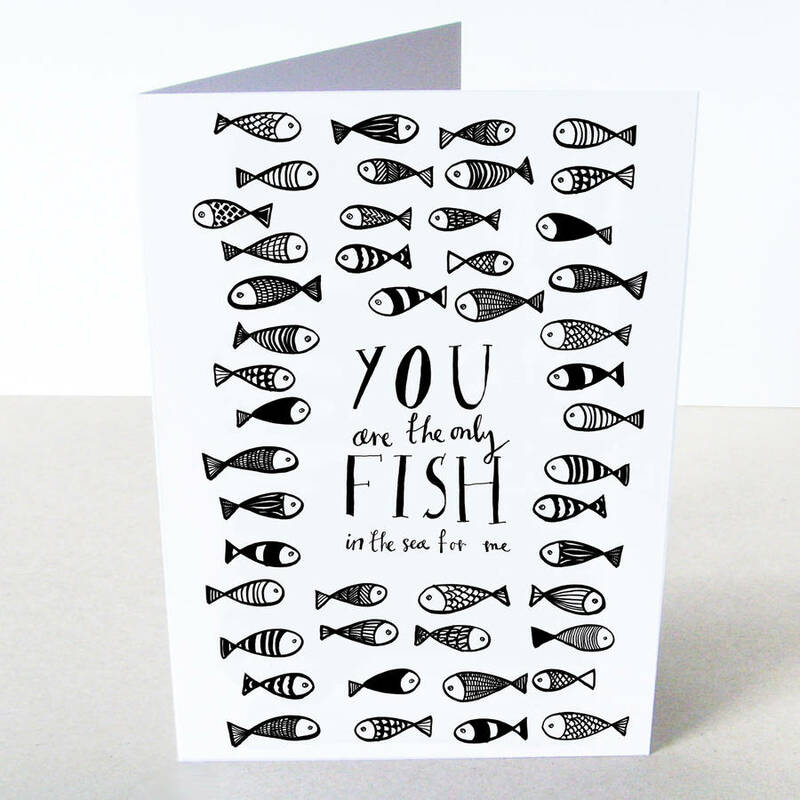 Tell your loved one how much them mean to you with this beautiful card. This romantic card with black ink drawing would make the perfect valentine card or for any other occasion when you want to spread a bit of love!